We're marking World Book Day 2011 (Thursday 3rd March) partly by conducting a survey of readers to this blog, including pupils, staff, parents and other visitors from around the world. We'd be delighted if you filled it in here - it'll only take a couple of minutes. Here's the first post on recommendations from this survey, and more will appear regularly in the coming weeks. Some respondents are leaving their real name, or a Twitter name, or a nickname. Others are anonymous. Do join in! 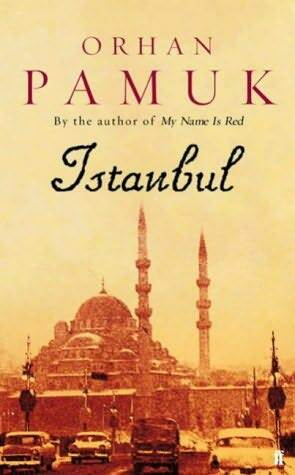 I love this book for the reason that Pamuk does not only describe the city as if you would only go to travel there. He describes his whole life there, the history, the customs and mentality. I fell in love with this city just by reading the book! I loved this when I was growing up. I enjoyed this book so much with my own boys and read it a few times on my own. A combination of “delicious” use of language and ideas that are so true, relate to life so well! One example: a child who grows from top down, and wonders how we do it our way! The older you get you keep seeing things from a different perspective when you grow UP but when you grow DOWN your perspective doesn’t change. What a great discussion-opener with children! 3. Anonymous : The Catcher in the Rye by J.D.Salinger. It's the ultimate coming-of-age novel that every teenager should read. At first it may seem dated but it deals with the anxieties associated with growing up and finding one's identity and there is something in Holden that everyone can relate to, regardless of era and geography. Great idea for your blog! I've posted a recommendation and look forward to visiting the blog again to see others' recommendations. Thanks! Jorge Edwards: Persona non grata. In 1970 Jorge Ewards was sent by socialist Chilean President Salvador Allende as his country's first envoy to break the diplomatic blockade that had sealed Cuba for over a decade. His arrival coincided with the turning point of the Revolution, when Castro began to repress the very intellectuals he once courted. In Kafkaesque detail, Edwards records the four explosive months he spent in Havana trying to open a Chilean embassy and his disenchantment with the revolution. Jorge Edwards will be in Dublin at the Instituto Cervantes the 3rd of March and at the Dublin Book Festival, the 4rd of March.